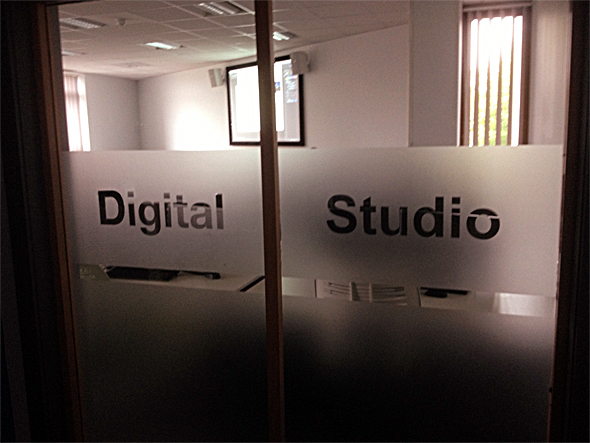 The new Animation Digital Studio is Up and Running and includes an interactive writing wall, new software including Nuke and Autodesk software including Maya. The studio looks to develop a more creative environment including bean bags moving away from just the standard classroom setup. The Animation Digital Studio complements the already existing Animation Studio where drawing and sculptural 3D work can be undertaken for stop motion animation. 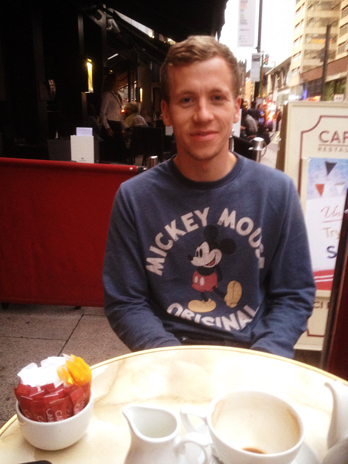 On Friday I caught up with third year animation student David Chambers in the center of Manchester at Cafe Rouge, and who now lives in Manchester and has started a year long internship with ‘Studio Distract’ based in the Northern Quarter. A still from ‘Tail of Confusion’ a piece of work David has recently done whilst on placement at Studio Distract. You can see the studio David has been working at by clicking here. You can also see some of the projects Studio Distract has been doing such as ‘Boy and The Dinosaur’ by clicking here. The area of Animation at Edge Hill is expanding not only is there an Animation Degree but starting in Sept-Oct of this year there will be two new specialist Animation Degrees namely Digital SFX Animation and Stop Motion Animation. 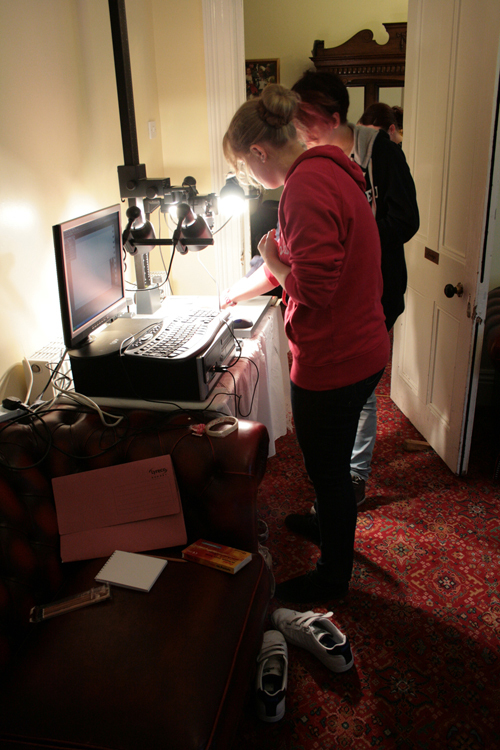 And hopefully there will be a new Motion Graphics Degree starting next year. 1st and 2nd yr Animation students went on the annual start of term trip to Conwy and Llandudno for a few days (1st-4th October) and for yet another year there was glorious sunshine. 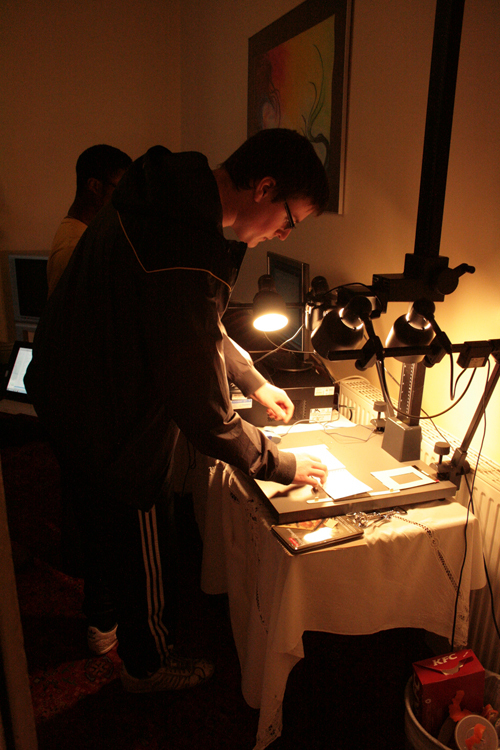 The first years undertook a series of drawing exercises around Conwy and Llandudno that focused on such things as tone, line, colour, etc and in the evening they animated some of their drawings. 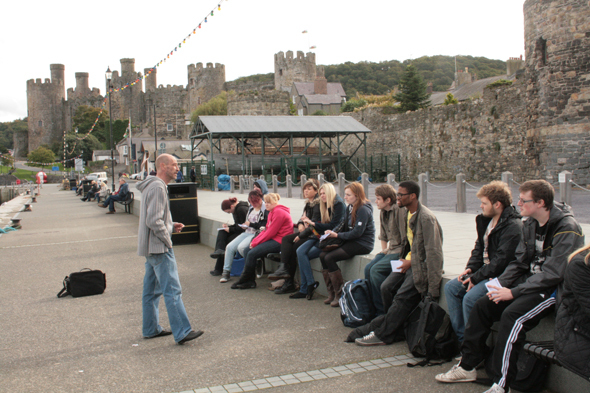 Whilst the second years met up with some of the staff at Conwy Castle to discuss producing an animation for Conwy Council and Conwy Castle. Will look forward to seeing how this working project relating to Conwy castle progresses. You can see a short video of the trip by clicking here. 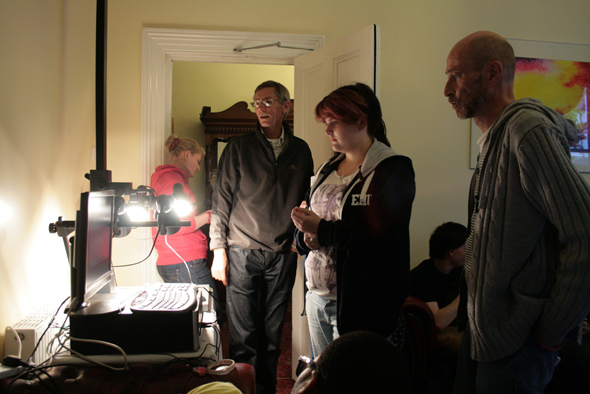 We have two new associate tutors starting on the Digital SFX Animation Course in October. The two new associates are the fantastic Glenn and Steve Maguire from the Liverpool based company Sparkle*. They have a wealth of experience in the arena of moving image and could tackle any job which encompasses 3D Modelling, 3D Motion Tracking, Matte Painting, Rig Replacements, Animation, Character Animation, Motion Graphics and Compositing. They will be bringing their wealth of industry knowledge and experience to the course which is great news and means the course will have a direct link with industry and means the course is run by a professional team with a direct involvement from industry partners who together offer a great opportunity to work in an inspiring and realistic environment that is supported by academic study. Check out the work Sparkle* do by clicking here. 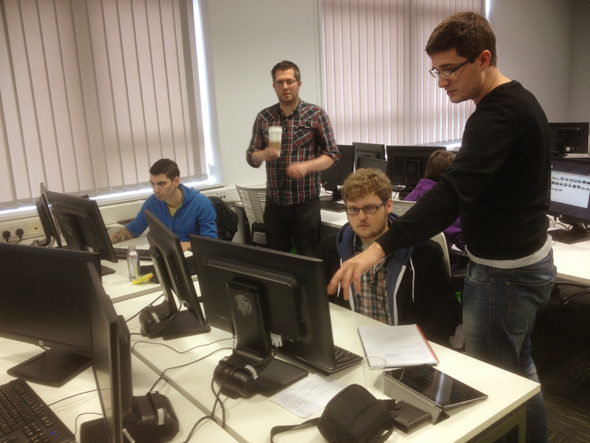 This site will be the place to find out what’s happening in relation to Animation at Edge Hill. And to see new work and interesting things. 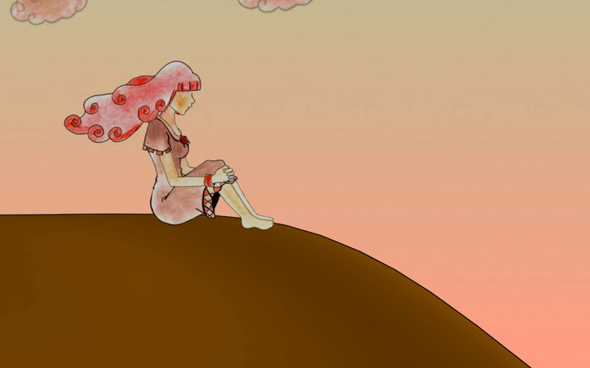 We have a new Edge Hill Animation Vimeo site which showcases work produced by our Animation students past and present. Click here to go to the EDGE HILL ANIMATION VIMEO WEBSITE. A still from ‘The Snow – Fieldhouse’ by Mihai Coman and Eda Tanses go to the EDGE HILL ANIMATION VIMEO WEBSITE to see the full film.